I feel like my heart is gasping for air. I feel like I am unraveling. My heart feels bruised, weak, and lethargic. A very small few of you know what I am about to write about and some of you don’t. Because I am a writer, I work through things best by writing it out – venting it all. So just tread lightly, if you will, with your quick comments and well-meaning one liners. Chad and I have been trying to have a baby since August. Not exactly trying as long as some couples, so it goes without saying that others have been “waiting” longer with no results. But that is not my heartache. All last Fall with one exception shortly after getting off birth control, I became very regular. Literally, my periods started on the 28th of every month for4 months like clockwork. I was mostly fine every month I didn’t conceive and got my period instead because deep down I just logically knew that this would be a process. I was determined to enjoy the process and just keep going at it, so to speak. After my period on December 28th, I did have another period until February 4th. Naturally, I got my hopes up. However, I did not have any weird side effects or symptoms – just a missed period. A few negative Home Pregnancy Tests (HPTs) after Jan. 28th and I was just stuck waiting. When my period started on February 4th, I was sad. I was sure I was pregnant even though I didn’t have any other symptoms. I just assumed I was too early in my potential pregnancy to have symptoms yet. I went to my OBGYN for my annual exam and she told me to begin Ovulation Testing Kits that month. So for 20 days in the month of February I got up in the morning, peed on a stick, and waited 5 minutes to see if it would say I was about to ovulate. I got 2-3 different days where it seemed like it was a positive result on the test (those things are way too hard to interpret!) and so Chad and I made good use of those days (and a few days after even) trying to make a baby. Because my period was late and came on February 4th, I wasn’t due to start my next period until March 7th. March 7th came and went. March 10th came and went. I started feeling somewhat hopeful and excited. At this point I started having certain symptoms. I will spare the personal details because some male gender’d friends of mine read this blog, but the important factor is that I didn’t know that some of these symptoms could even occur in an early pregnancy. I had the symptom first and then had to Google it to see what caused it. The most common result was always early pregnancy. So then I REALLY started getting my hopes up. Today I am 15 days late for my period. I have taken 4 HPTs and they were all negative. I had my doctor’s office to a urine test – it was negative. Yesterday they did a Quantitative HCG Blood Test. This is a blood lab test that checks your blood for even the smallest minuscule amounts of HCG (the pregnancy hormone) to determine if you’re indeed pregnant. It is considered very accurate. They rushed this lab work, so I could know by the end of the day my results. This was largely due to how anxious I had been feeling about my missed period + all my symptoms + the negative urine tests. When I told the doctor my symptoms as she prepared to draw my blood, even she said it sounded very promising that I was in fact pregnant. She assured me that some women just do not have positive HPTs for unknown reasons. They called me about 2 hours later. My HCG levels were less than 2. “You’re not pregnant.” the nurse sadly told me. So herein lies my heartache. I am not nearly as sad that it is “taking a while to get pregnant” – I am sad because my body is tricking me! Like some kind of sociopatheic, twisted joke! I would so much rather NOT be pregnant, get my period, and be able to move on in hopes of trying again next month than to think for WEEKS that I am pregnant with no way to confirm it through tests! I have never skipped a period. I have never been so irregular! I don’t know how to cope with the grief of the roller-coaster ride that gets my hopes up and then brings them down crashing and burning. It may sound dramatic to you, but maybe you just can’t relate. Most of my friends who had a harder time trying to conceive never went this long with a missed period only to get “negative” test results. I need to know that this can happen and has happened to other people, so I don’t feel so isolated by all of this! I have not been able to stop crying after I got that phone call. I left my friend’s house and cried the entire 45 minute drive home. I hugged Chad when I got home and cried. We lay in bed together talking through it and I continued to cry. We fell asleep at 7:30pm or so and slept until 11:30pm. I still have ALL my symptoms. The biggest two that are drastically affecting my day to day functioning are the fact that I am ALWAYS tired. Last week during Spring break I would sleep until NOON, need a nap by 4pm, and want to be in bed by 8 or 9! The other thing is that I am supposed to be on this weight loss program, but I have lost any and all desire to eat. I can barely make myself drink water or eat a bowl of cereal. I am not vomiting or anything, but I have no appetite and the thought or smell of certain foods makes me nauseous. So I will go way too long without eating just because I don’t even want to think about it, and then hours later my stomach is growling and I have to make myself eat something that doesn’t sound good. My symptoms don’t stop there, but like I said I will spare you the personal details. Can a person get negative urine tests and a negative blood test and still be pregnant?!?! I read online about hundreds of women it has happened to, but it doesn’t seem like doctors acknowledge that it’s possible? If you are a woman, has this ever happened to you?! How can I feel all these symptoms and not be pregnant? If I am indeed not pregnant, what is WRONG with my body? I have a doctor’s appointment on the 29th to try and determine what is wrong with my body. I will eventually get answers. It is just that the wait between then and now is what has me so sad, heart sick, and anxious. Some of you have been asking what my program consists of and why it seems to work so well for me over other diets/programs out there. Well, I already spoke about what specifically I am eating and the supplements I am taking here. I wanted to also throw out quickly the science behind the program I am on, and why the science of my program makes it so successful. First off, every time I go to weigh in at Metabolic, my Ketone Bodies are checked. As soon as I go in, I pee on a little stick that measure the amounts of stored fat my bodies is metabolizing and, therefore, secreting through my urine. Sounds kind of gross when you say it like that, but basically if I am burning off my stored fat then trace amounts of it will show up in my urine. The ideal results are that Trace – Small amounts of Ketone Bodies are present in my urine. If there are no Ketone Bodies present, then I am not doing my diet program properly. If the amounts of Ketone Bodies are too high, then I won’t continue to burn my stored fat because my body will detect the high amounts of stored fat being burned and initiate a protective mechanism that holds onto my stored fat to protect me from dying in a famine or some kind of weird Apocalypse scenario. This is bad because my body will begin to shut down the metabolism of stored fat in an attempt to save my life from starvation and, therefore, my weight loss will completely stop. This often happens when girl’s attempt to get skinny by starving themselves. They will eventually continue to lose the weight, but only through a constant state of starvation during this “shut down mode” which causes severe damage to their bodies. Another thing is the consumption of essential fats. Good fats are the kind found in healthy foods that are crucial for your brain, body, and overall health. I have been taking them in the form of Fish Oil supplements, but they can also be found in foods. The stored fat on your body is a sticky, gooey, yucky substance that stubbornly attached itself to the bones, muscles, and ligaments around it. Even with copious amounts of exercise, your body’s stored fat will stubbornly hold on as long as it can making it difficult to lose the stored fat on your body – especially in certain areas. Essential fats come to these areas of the body with stored fat and literally slick them up. Like any good dose of WD40 on a rusty hinge or like oil in your car, essential fats lubricate the sticky gooey stored fat on your body. This allows the stored fat to break up more easily and detach itself from the bones, muscle, and ligaments around it. It always makes me think of Dawn dish soap going into a sticky pan that was used to cook something like lasagna. Washing it with just water is difficult and takes forever, but as soon as you add Dawn dish soap the cheeses and greasy sauces break apart and wash away easily! 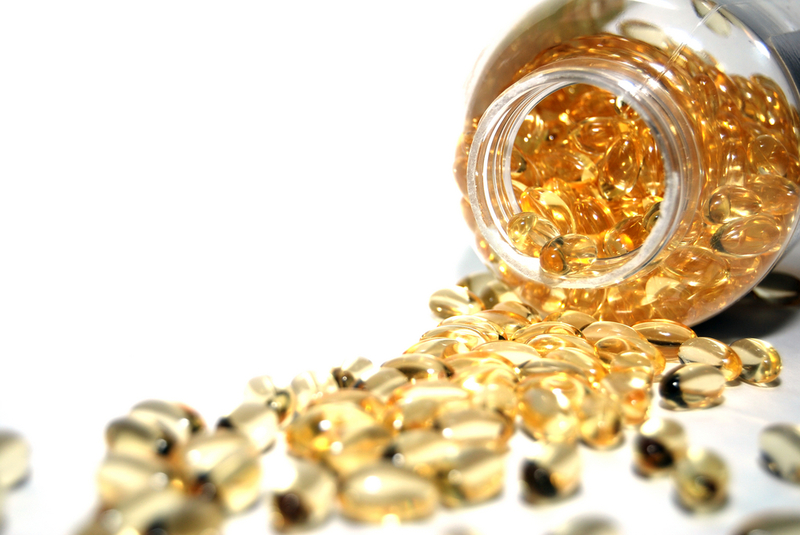 SO, if you are wanting to lose weight AND inches faster, take a daily fish oil or flax-seed oil supplement. Even if you don’t need to lose weight, these essential fats are sooooo good for you and provide a wide array of health benefits! How else would I be flushing away all that stored fat I am now metabolizing? How else would my body stay hydrated and energized with this new active constantly running metabolism? 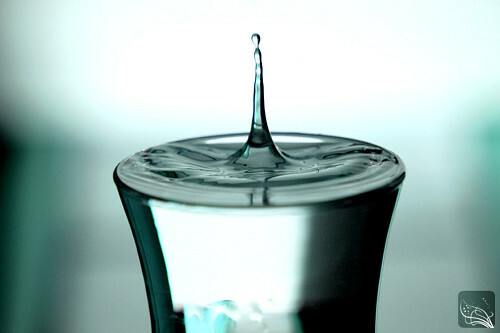 Metabolic says a TYPICAL person should get 640z of water daily. For every 25 lbs you’re overweight, add another 8 oz to that! For every 30 minutes you exercise add another 8 oz! The most important thing that makes a huge difference in my weight loss is the way my meals are structured. The point of this Metabolic plan is to reprogram my metabolism to be more efficient. The typical American diet does the exact opposite, so it is a huge lifestyle change in the way I eat. Whenever you eat proteins your body is unable to break them down for digestion without an aid. Usually this aid is a carb. These helpful carbs can come from grain, veggies, fruits, etc. Carbs are sugar, but complex carbs from whole grains tend to burn stronger and slower for longer burning energy and metabolism. If you eat exactly the same amount of carbs and proteins, your body will use the carbs to help break down and digest the proteins. A few hours later you’ll probably be hungry again. It is also very unlikely that you will eat the exact amount of carbs and proteins to the gram, especially since carbs and proteins burn calories at different rates per gram. The typical American diet eats twice as many carbs as proteins, and usually these carbs are the bad, quick burning, short-lived, sugary kind. 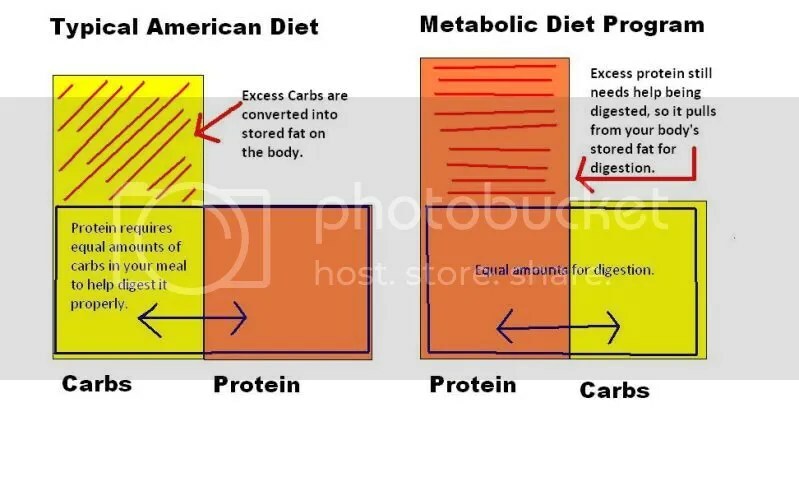 When you eat this way your body will still use the amount of carbs it needs to break down and digest the protein you just ate, but now you have an excess of carbs left and no more protein to attach them to. Your body takes these extra carbs and unless you’re about to go exercise your body STORES THEM ON YOUR FRAME AS FAT. With the Metabolic Program I am on, the idea is to only eat the carbs required by my body for the digestion of proteins, and THEN eat extra proteins. Well… it is amazing. Your body digest the carbs with equal amounts of proteins. THEN you have extra proteins, but your body cannot digest them properly without an aid. SO guess what your body does? IT PULLS FROM YOUR STORED EXCESS BODY FAT to help digest the extra proteins you ate!! SO basically, a diet high in lean protein with veggies and fruits and a few complex whole grains will begin to digest stored fat for energy leading to weight and inches lost. A diet high in carbs will do nothing but add-on the pounds, unless you’re an Olympic swimmer or something. I can’t tell you how many times I hear someone say or imply that people who are shy, awkward, or socially inept are introverts. It makes me want to punch a small animal. Okay, maybe not that bad… but it seriously gets under my skin. To me, introversion is one of the most misunderstood labels. I understand that it can be hard to pinpoint in someone, but the blanket stereotype that connotates social malfunction or people phobias is just taking it way too far. About 10 years ago or so is when this all started for me. I remember being “diagnosed” as an ENFP at Teen Mania through the Myers Briggs Type Assessment (ENFJ at first, but that was later amended). Looking back, I think I chose some answers that leaned more towards Extroversion because being an Extrovert in our society is deemed more acceptable, and I so badly wanted to be accepted. If a question on the test asked if I preferred “going to a large party” vs. “staying home alone or with one friend” I probably falsely chose “going to a large party” because I wanted to make friends in this new season of my life. I struggled constantly with this tension between loving my friends and being around people vs. all those people and friends driving me crazy after about 4+ hours of their company. I wondered why I was so difficult? Everyone else was fine if we hung out ALL DAY doing loud and crazy things. Everyone else was fine if the chaos never ended and people never went home to their own beds. Why was I so cranky all of a sudden? Why did it make me so tired to have to fight for a word in a conversation, or to be constantly interrupted? After too much social effort I would become withdrawn, irritable, and snarky. I was literally browsing the self-help section of the Barnes and Noble in Tyler, TX for answers to my problem. The first book I picked up was about HSP syndrome. I felt like I fit some of the criteria, but not all of it. I put the book back on the shelf and kept looking. The next book I picked up was called “The Introvert Advantage: How to Thrive in an Extrovert World” and was written by a bunch of doctors. As I began reading it my life was LITERALLY changed. I quickly realized I was a closet Introvert. I quickly knew I wanted to read and buy this book. I finally had answers to my questions. I had to know myself to figure out how to thrive. Introversion was not a shyness or social phobia, but a way of coping with stimulus. I did love my friends. I did love a good party. I did not have a social malfunction. I simply became emotionally and mentally and physically drained from a certain degree of activity or commotion. I learned that some people in my life did not drain me at all. Some people I can be around all the time for as many days as you can count and I am totally fine. Other people I can only be around for about 30 minutes and I need to get away. I love quieter environments and non-obnoxious people. I watched this video tonight that talks about the way our society has oriented itself around an Extroverted audience. This video is what prompted me to write this post and share my story. It is worth watching, though kind of long. I also highly recommend getting to know who your friends, significant other, co-workers, etc really are. Don’t assume that just because they didn’t want to go to that loud bar or concert with you that they don’t like you and don’t want to be your friend. Chances are they do, but the thought of such an event leaves them exhausted. Don’t assume that because they are quiet or non-charismatic that they are awkward or insecure.